Simply open the VPN app, hit 'choose location' and select the appropriate location - it's super easy to do. Choose UK to stream the Grand National on ITV (use the links below). 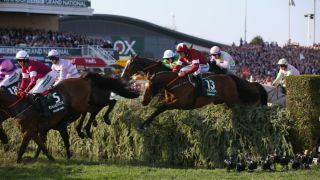 The service is free and the best legal way to stream all of the action at this year's Grand National live. If you're on the go and prefer to watch the races from a mobile device you can also tune in via the ITV player app. Alternatively use TVPlayer.com.